So Cute that if this home was a puppy.... you'd already of adopted it. 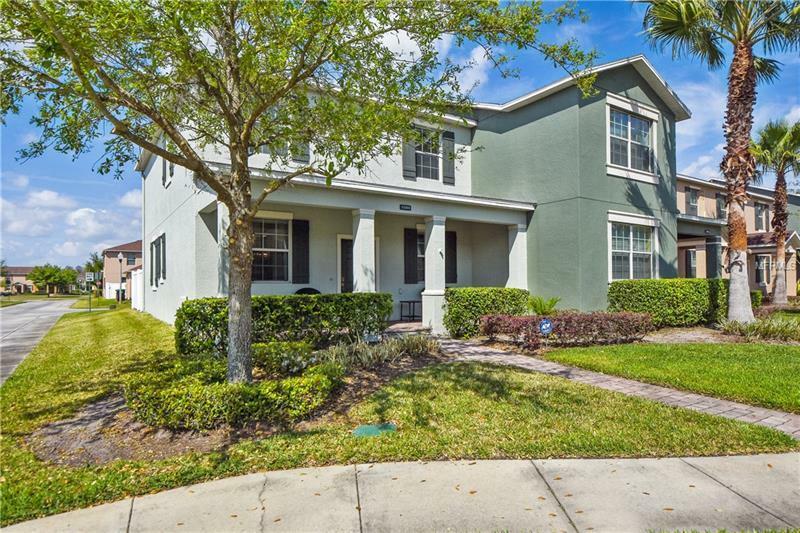 It is our extreme honor and privilege to present to you, this OUTSTANDING and UPDATED 3 Bedroom 2.5 bath townhome located in Lake Nona's own, Savannah Landings. Well-Appointed, and comfortably situated on a Large CORNER LOT this wonderfully landscaped, and well-kept home, is a comfortable and inviting space, with ample room room for Florida Living and entertaining, and boasting the highest level of comfort, design and amenities. Professionally installed and custom-crafted kitchen cabinets with glass inserts, hand selected pendant lighting, a reverse osmosis water filtration system , and granite counter tops are just a few of the accents to this modern and stylish charmer... BRAND NEW NEW AIR CONDITIONER, NEW CARPET, GRANITE COUNTERS, contemporary paint selections, a flexible floor plan with DUAL LIVING and family rooms, all allow for a not only a worry free move-in-ready home, but ample living and furnishing arrangement possibilities! Your new home invites endless opportunities to enjoy, relax, AND entertain, with not just only the traditional interior comforts, as this home also includes a covered front porch, inviting and compelling you to visit with friends and neighbors, as well as a private COURTYARD ideal for all your outdoor needs and gatherings! Pet Restrictions: CONTACT HOME OWNERS ASSOCIATION AT COMMUNITY MANAGEMENT SPECIALISTS, INC 1942 W. COUNTY ROAD SUITE 130, OVIEDO, FL. 32766 AT 407-359-7202 WITH ANY HOA RELATED QUESTIONS.